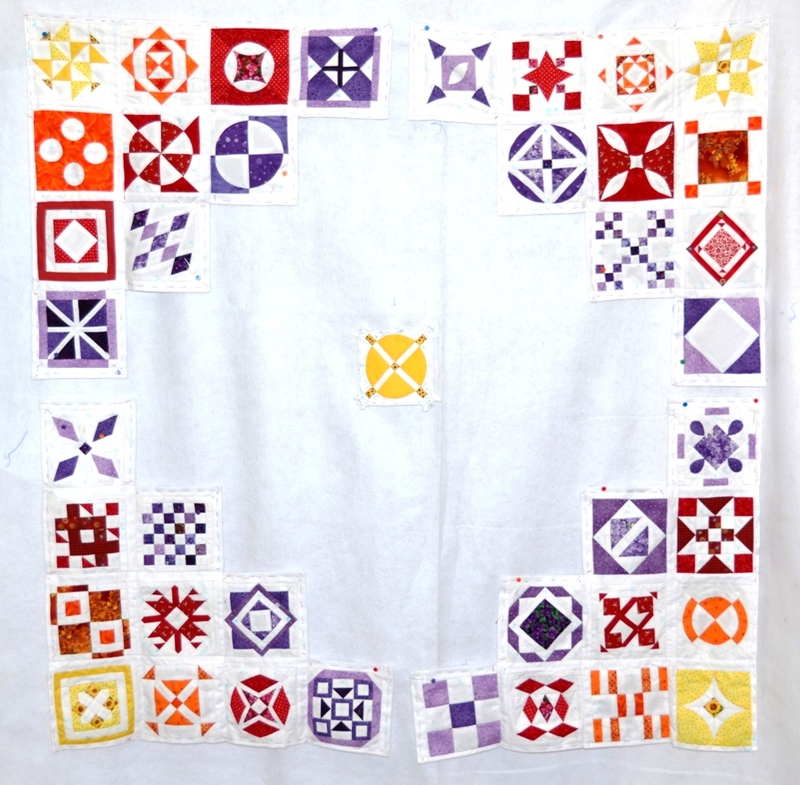 Managed to get the purple blocks wearing their white sashes and the hook them up to be part of the quilt. 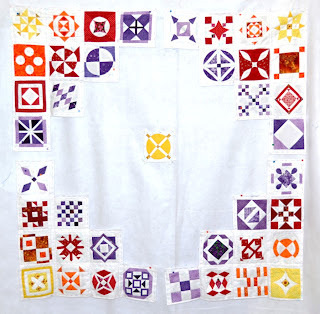 With the Purple row done it gets to 23.66% of the centre done. Now on to the blue blocks. Beautiful progress! It will be done before you know it.